Approximately five years ago, the Work Support Strategies (WSS) initiative provided a group of diverse states (Rhode Island, North Carolina, South Carolina, Illinois, Colorado, and Idaho) with funding and technical assistance to streamline and integrate the delivery of key work supports. In April, CLASP released a comprehensive report on lessons learned from the significant work to integrate and align across systems in WSS states. 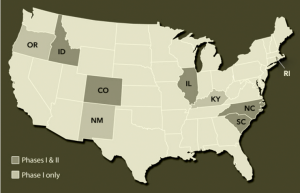 A summary of each state’s context and a video from each state can also be found here, and findings from the initiative’s evaluation will be presented at the Research and Evaluation Conference on Self Sufficiency on Friday, June in 3rd in Washington, DC.